Health care in America has had a rocky past and has almost imploded on itself several times. On March 23, President Obama, signed a new health care bill with the hopes of revolutionizing the system. The plan will take years to fully implement, there are many details that require fine tuning as to be expected. This new bill is a big deal and it impacts everyone in America more than they might realize currently. In the future, one's ability to get health insurance and keep it will be drastically improved. Eventually, everyone who desires to be insured will have an equal opportunity - or at least that is the hope. "When the law is fully implemented, 32 million Americans who are uninsured today will have access to health insurance coverage, including for addiction", reported Faces and Voices for Recovery. "The new law builds on the principle of equity for addiction with other health conditions in the Paul Wellstone and Pete Domenici Mental Health Parity and Addiction Equity Act of 2008 and marks significant progress in making it possible for many more Americans to get the help they need to recover from addiction". Requires all group and individual plans to comply with the Wellstone/Domenici Parity Act, which requires that addiction and mental-health benefits be provided in the same way as all other covered medical and surgical benefits. Expands Medicaid eligibility to all Americans up to 133 percent of federal poverty, and requires that all newly eligible parents and childless adults receive basic benefits, including parity addiction and mental-health services. Creates a national prevention council with the director of the Office of National Drug Control Policy as a member and alcohol and other drug addictions listed as a national priority for that council's report to Congress. Names behavioral - healthcare workers as a high priority in the bill's National Workforce Strategy section. 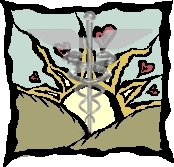 Lists addiction and mental-health providers as eligible for community health-team grants. It will take many years to get where we want to be with this, but, at least the ball is rolling and people will begin receiving the health care that they personally require - as opposed to what the insurance companies decide you need. Health care decisions should belong to doctors and not insurance companies trying to save a dollar and make a dollar at the same time.